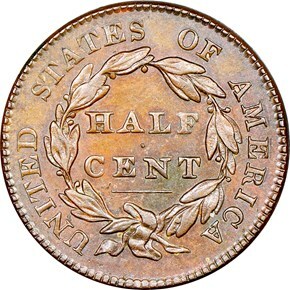 Cohen variety 2 is notable for having just 12 stars, an obvious die-punching error that either was not caught at the time or simply permitted to go through due to the insignificance of half cents. 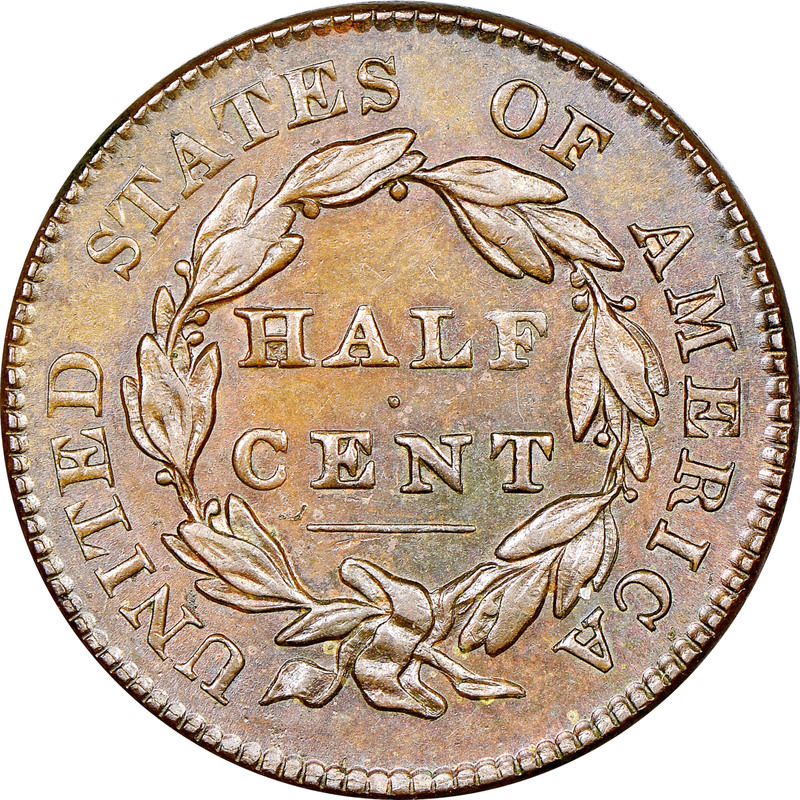 Neither die was shared with the other two marriages of 1828 half cents. 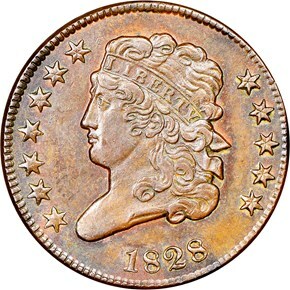 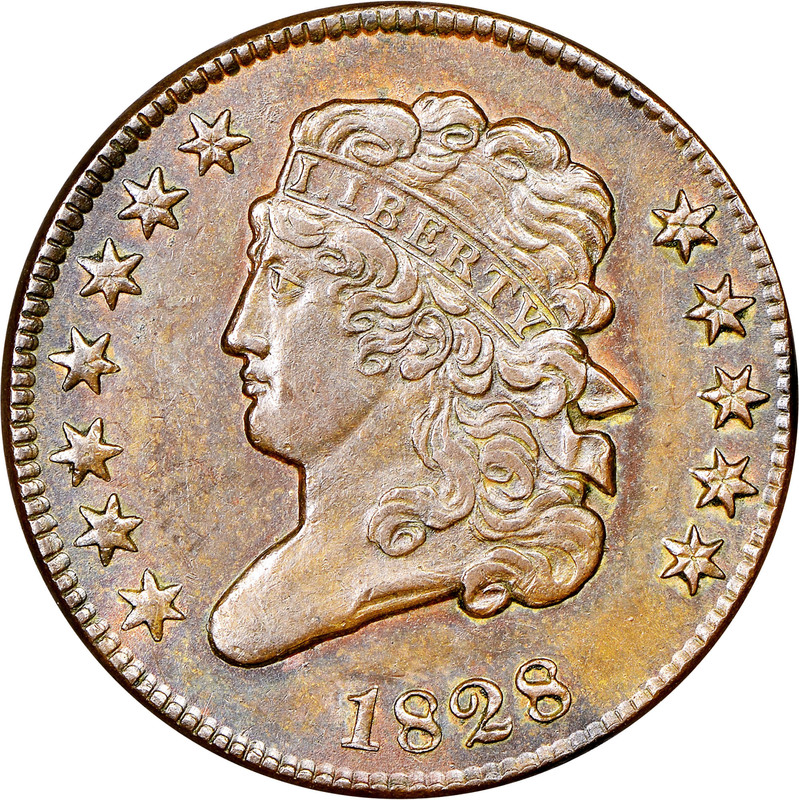 While not a rare coin in circulated grades, the popularity of this naked-eye variety elevates its value.